One of the great, albeit somewhat belated features Apple has introduced with iOS 8 is the ability to add third-party widgets. Back when the new software first dropped last month, we outlined a number of great widgets that we recommended you try out, and now, we’re back with a handful more. Whether you’re looking for basic utilities or for a way to remain engaged with Twitter, this little list covers all bases, and with seven great widgets in total, we’re sure you’ll find your next must-have after the fold. 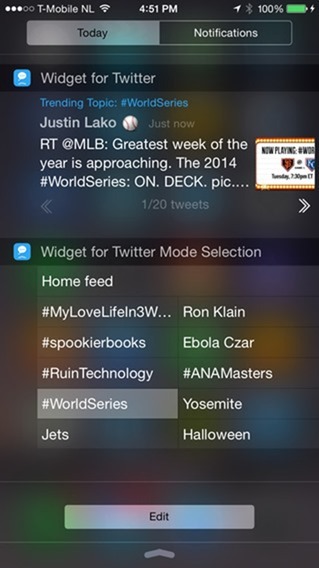 This neat, customizable widget helps you remain connected to The Twitters wherever you may be. Self-explanatory, this widget will present you with your precise location details, and could be particularly handy in the case of an emergency, for example. 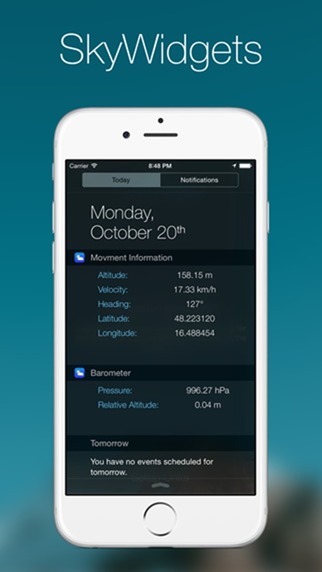 This widget gives you a glimpse of information pertaining to altitude, your current velocity, latitude, logitude, heading, pressure and relative altitude. A really handy piece of kit to own if you’re out and about on a trek. Geeks, ahoy! This widget offers a bunch of system information that techies can’t live without. From memory usage to CPU load average, this widget is perfect for the unashamed tech lover. 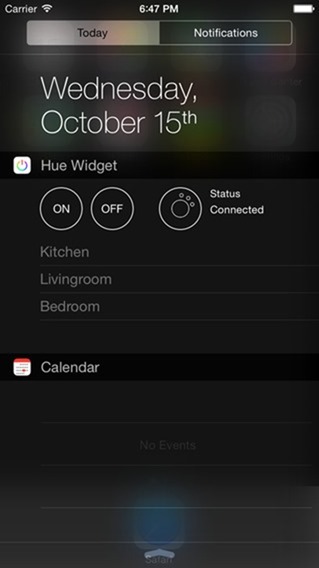 A widget designed to help you control your Hue bulbs without having to fire up any app, this is among the best in the App Store. The developer still has one or two kinks to work out, but if you’re an early adopter of smart home products, give this a whirl. 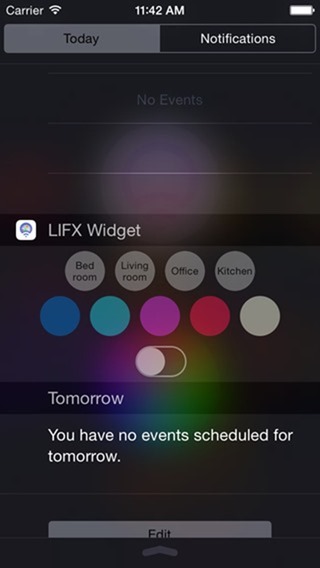 As above, this is another bulb-managing widget, but instead, designed specifically for LIFX bulbs. You can make instant changes, manage your lighting schedule and generally tweak the atmosphere right from the Notification Center, which, you have to admit, is pretty darn cool. This widget needs no introduction, but for what it’s worth, it does exactly as it purports. With a neat, clean interface in-keeping with iOS 8, it’s almost faultless, and once installed, you can access these core utilities with consummate ease. And that completes our list for today. We hope you found at least one widget worthy of a place among your daily runners, and if you have a personal favorite not mentioned, be sure to give it a shout-out in the comments. 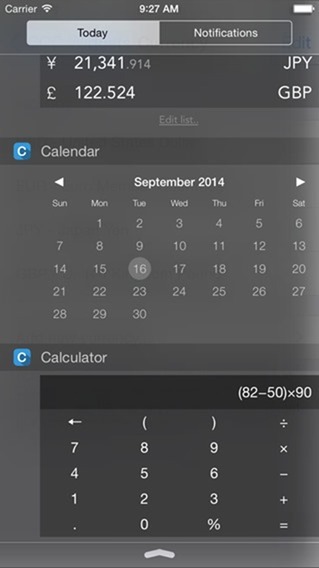 wow these are some utterly useless widgets you got there! why would you want a digital clock in notification center when you have a digital clock at the top of the screen in notification center? 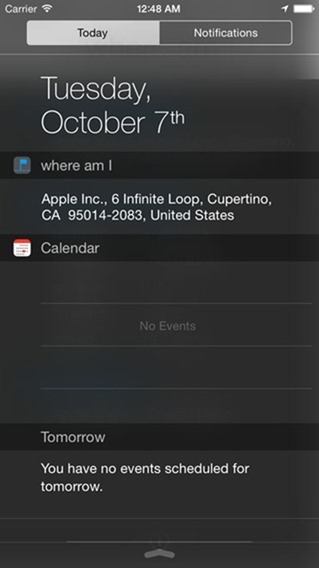 It might not be the most useful widget, but you can add some personalization to Notification Center with “PhotoBar”.